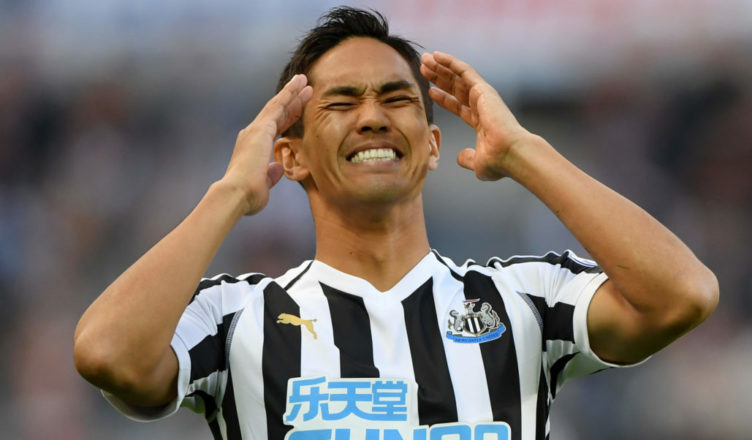 Yoshinori Muto opens up about his situation at NUFC – “I expected to play – It’s been really tough” – NUFC blog – Newcastle United blog – NUFC Fixtures, News and Forum. Yoshinori Muto has admitted that his first season at St James’ Park has been ‘really tough’ – but insists that he’s not the type of person who will give in, vowing to ‘train well’ and seize his chance when it arrives. Muto arrived last summer from Mainz for a fee of around £10m, an ‘expensive’ outlay by Newcastle’s stringent standards. The forward just has not been part of Rafa’s plans this season, due to international duty, poor form and fitness issues. “It has been really tough. “I expected to play in the West Ham match but I couldn’t. “It wasn’t my day at West Ham, as I lost my chance to play due to the injury that occurred. “But I think it is important that I remain positive. I need to be patient. “I am the type of person who is not good at giving in. I would have been surprised to see him start the game at the London Stadium, if he was fit, with Almiron, Rondon and Perez playing so well at the moment, however he may have been frustrated not to get minutes off the bench. Muto is a bit like Murphy – someone Rafa chased that hasn’t quite worked out as of yet. There is still time of course as he hasn’t really been given a run in the team to show what he can do. Perhaps if we can secure safety early, Rafa will give him a run in the side to see if he is up to the pace of the Premier League. The fear you have is that Rafa has seen enough, or not enough more likely, in training to justify Muto being anything other than back up – something that won’t impress Ashley given a £10m signing may seem a lot from his perspective.